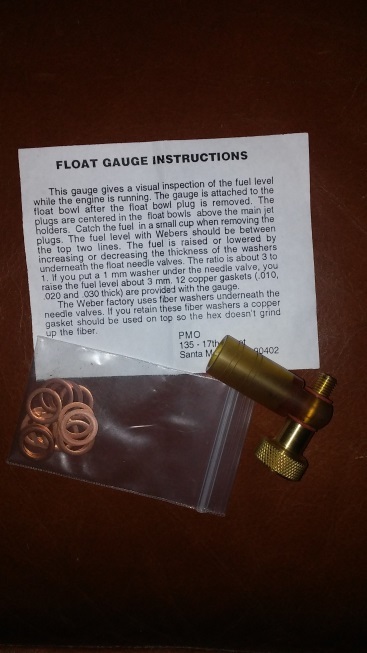 This handy tool is invaluable when adjusting the fuel level in the float bowl. If not adjusted properly, fuel will slop over into the carburetor throat and cause uneven running and acceleration. Likewise, if the level is too low the fuel for those cylinders will be drained before the fuel can be replaced causing those cylinders to starve for fuel. This device screws into the Float Bowl drain plug and has a calibrated tube that will show the level of the fuel in the float bowl as the engine idles.